Will you be watching The Imitation Game? The Imitation Game is a British-American film starring Benedict Cumberatch. 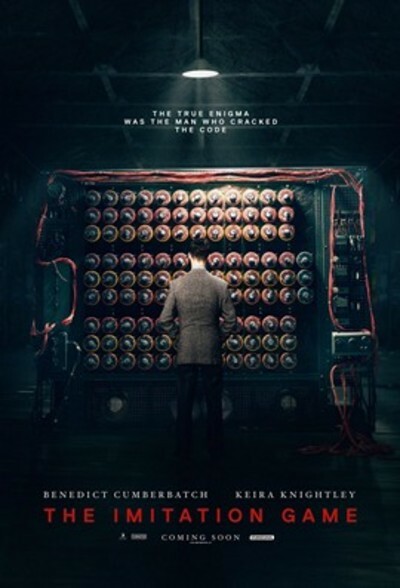 It is a true story about the Enigma codebreaker, Alan Turing, who was later prosecuted for being gay. Will you be watching it? I think The Imitation Game looks really interesting. I love movies that take a different look at war times, particularly those that avoid detailed looks at battles. I will be checking this movie out, for sure. I would be quite interested to see this. It is unjust how such a hero was treated due to the homophobia of the time, and I think it is right that the story should be told. I normally don't do war movies at all, but this one looks interesting. I actually liked it so much I watched it twice. Great movie. Plus it is a true story. Do you like the animation style for The Book of Life?